No going back for the Delta, but which way forward? “Restore” is a common cry for environmental problems. For the Sacramento-San Joaquin Delta, those calling for restoration seem to have two general, but conflicting visions. One is to restore the Delta to natural conditions in the 1850s, before economic development efforts greatly altered the Delta’s landscape. 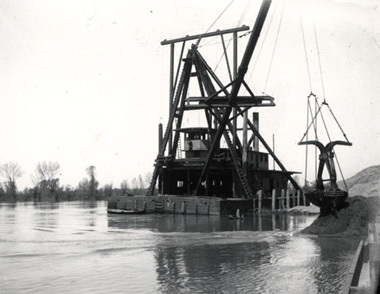 Another is to restore the Delta to conditions of about 1950, before federal and state water projects began to divert large quantities of water through pumps in the south Delta. These are very different visions. 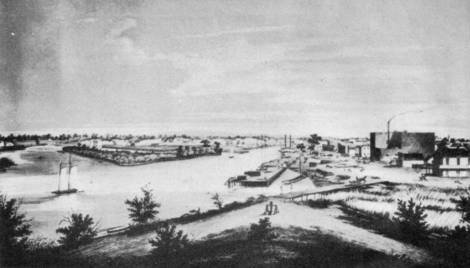 The Delta of 1850 was an immense tidal marsh, with abundant habitat for native fishes, very little agriculture within the Delta, and almost no urban or agricultural water diversions either upstream or downstream. There was substantial seasonal and interannual salinity variability in the far western Delta and Suisun Marsh. Fish spawning and rearing were abundant upstream of the Delta. Native Americans engaged in subsistence fishing and hunting. By 1950, the Delta had become an agricultural and navigation system. Over 90 percent of the tidal marsh had been diked and drained, enabling productive agriculture on the resulting Delta islands but also causing rapid land subsidence of the fragile peat soils. Navigation channels had been cut to Stockton and Sacramento. Salinity in the Delta was now controlled by releases from new dams on upstream tributaries that stored winter flows for release in the irrigation season as well as for urban use. Urban and agricultural wastes flowed untreated into the rivers. Since 1950, additional changes include major water diversions at pumps in the southern Delta, the arrival of many more invasive species, continued land subsidence, and the deepening and hardening of many Delta channels. Over time, land subsidence, low productivity, and rising levee maintenance costs have led to the abandonment of some flooded Delta islands: Big Break (1927), Franks Tract (1938), Mildred Island (1983), and Liberty Island (1998). Given these factors and substantial risks of levee destruction from a large earthquake, permanently flooded aquatic habitat is the ultimate fate for many subsided central and western Delta islands. 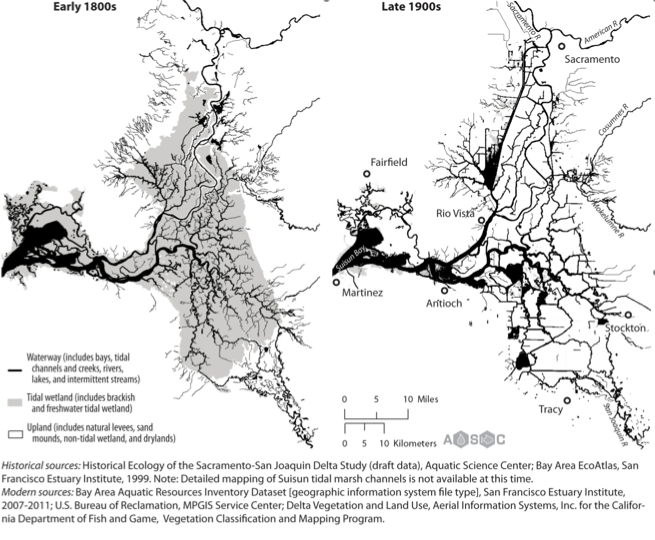 Comparison of historical (early 1800s) and modern Delta waterways. The map on left shows the complexity of early 1800s Delta hydrography (black) within tidal wetland (gray). The modern hydrography at right shows major differences including channel widening, meander cuts, cross levees, and loss of within-island channel networks and tidal wetland. Map courtesy of the fourth staff draft version of the Delta Plan presented to the Delta Stewardship Council. Going back to 1850 or even 1950 implies both trade-offs and immense costs. The Delta of 1850 provided great habitat for native species, but it made no contributions to agriculture or statewide water supply. The Delta of 1950 was responsible for extinctions and declines of some fish species and was already showing signs of unsustainable land use in subsided areas. Returning to 1850 would require almost three billion cubic yards of landfill – enough to fill 800 Rose Bowls – to restore historical elevations and habitat. 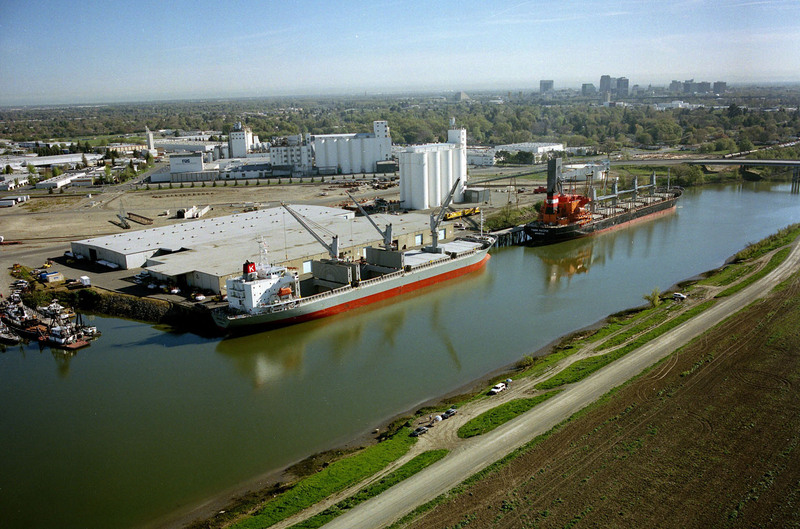 It would also mean largely closing the dredged ports of Stockton and Sacramento and ending upstream and downstream diversions that jointly account for most water use in the Sacramento Valley, the San Joaquin Valley, and the San Francisco Bay Area, and roughly a third of water use in urban Southern California. Flooding would also increase, with the removal of major dams and many Central Valley levees to restore riparian and floodplain spawning and rearing areas. Returning to 1950 would require only 1.2 billion cubic yards of landfill (because many Delta islands would still lie below sea level), and roughly 6 million acre-feet per year of reduced water diversions, as well as reduced shipping to Stockton and Sacramento. But even these water diversion reductions would require expensive changes for agriculture and cities south and west of the Delta, and they would not address many of the underlying causes of natural habitat decline resulting from the altered Delta landscape. Going back also would require eliminating many non-native species that have invaded this region over time. Alien fish (e.g. striped bass, largemouth bass), clams, invertebrates, and aquatic plants are all part of the Delta community now, and they like it there. Recent monitoring in the Delta shows that over 95 percent of fish biomass in most places in the Delta is from non-native species. Some of these non-native species support prized recreational fisheries (striped bass, largemouth bass, catfish). These alien species can be suppressed, but their elimination is impossible. And more new species are on the way. Clearly, the Delta cannot go back to a previous state. Today’s Delta is rapidly changing, moving toward an uncertain future as an ecosystem that provides goods and services to humans. Restoration is not an option. Instead, our society must decide how to go forward. The hardest part of moving forward is deciding where we want to go. Do we want to continue to have a Delta that has the species and ecological characteristics of a lake in southern Arkansas? 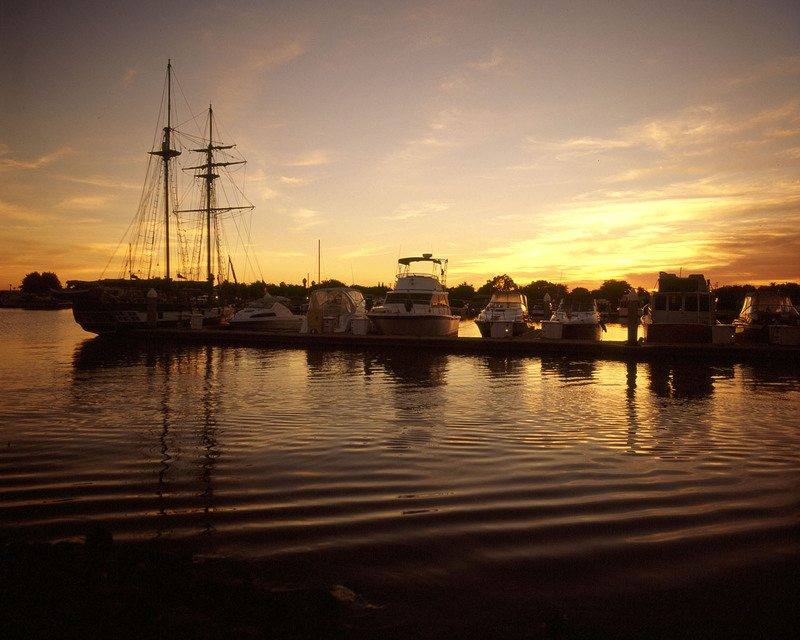 Or do we want to restore estuarine ecological functions to support struggling native species? Fortunately, these are not either/or questions. Indeed, trying to have all parts of the Delta serve all divergent objectives for this region cannot succeed. Some parts of the Delta can be restored to seasonal floodplain habitat, favoring rearing and spawning for native species (especially salmon). Some areas will transform to deep water habitat, producing favorable conditions for today’s freshwater lake fishes in the central Delta and more estuarine habitat favoring native species in the western Delta. Much of the Delta can continue to support high-value agriculture, and some areas will have increased recreational use. But all places cannot do all things. Ecosystem reconciliation is an important concept to guide forward-looking management. This concept recognizes that humans are integral parts of all ecosystems and increasingly control many processes. For better or worse, humans play a major role in shaping future ecosystems. Successful reconciliation in the Delta will leave some areas quite similar to their current condition, while guiding major transformations in other parts of the Delta. The problems and dilemmas of ecosystem reconciliation are not unique to the Sacramento-San Joaquin Delta. They apply to virtually all of California’s rivers and floodplains. Success will require motivated political compromise, sustainable funding, more creative application of environmental law, and good environmental engineering. In dealing with the multiple sources of stress on the Delta, we must be realistic and forward-looking. Major changes in water and land management will be needed to enable the Delta to sustainably serve the many functions Californians ask of it. Elements of the past provide important objectives and guides, but should not blind us to the inconvenient realities and bountiful opportunities we face today and in the future. Hanak, E., J. Lund, A. Dinar, B. Gray, R. Howitt, J. Mount, P. Moyle and B. Thompson (2011), Managing California’s Water: From Conflict to Reconciliation, Public Policy Institute of California, San Francisco, CA, 500 pp. Lund, J. (2011), “Sea level rise and Delta subsidence—the demise of subsided Delta islands,” californiawaterblog.com, posted March 9, 2011. Lund, J., E. Hanak, W. Fleenor, W. Bennett, R. Howitt, J. Mount and P. Moyle, Comparing Futures for the Sacramento-San Joaquin Delta, University of California Press, Berkeley, CA, February 2010. Moyle, P. (2008), “The Future of Fish in Response to Large-Scale Change in the San Francisco Estuary, California,” in Mitigating Impacts of Natural Hazards on Fishery Ecosystems. K.D. McLaughlin, editor. American Fishery Society, Symposium 64, Bethesda, Maryland. Nobriga, M.L., F. Feyrer, R.D. Baxter and M. Chotkowski (2005), “Fish Community Ecology in an Altered River Delta: Spatial Patterns in Species Composition, Life History Strategies, and Biomass,” Estuaries, Vol. 28, No. 5, p. 776–785 October. Suddeth, R., J. Mount and J. Lund (2010), “Levee decisions and sustainability for the Sacramento San Joaquin Delta“, San Francisco Estuary and Watershed Science, Volume 8, No. 2, 23pp, August. Thompson, J. (1957),Settlement Geography of the Sacramento-San Joaquin Delta, California, PhD dissertation, Stanford University. This entry was posted in California Water, reconciliation, Restoration, Sacramento-San Joaquin Delta and tagged California, Delta, ecosystem, estuary, reconciliation, subsidence, Suisun Marsh, tidal marsh habitat, UC Davis Center for Watershed Sciences. Bookmark the permalink. 5 Responses to No going back for the Delta, but which way forward?